Winter Olympics: Kim Jong-un’s sister becomes first in family to step foot on South Korean soil – Royal Times of Nigeria. Kim Yo-Jong, the sister of North Korean leader Kim Jong-un, has arrived in South Korea for the winter Olympics. She is the first immediate member of her family to visit South Korea in more than 60 years. No member of the North’s ruling family has visited South Korea since the 1950-1953 Korean war which divided the Korean peninsula. 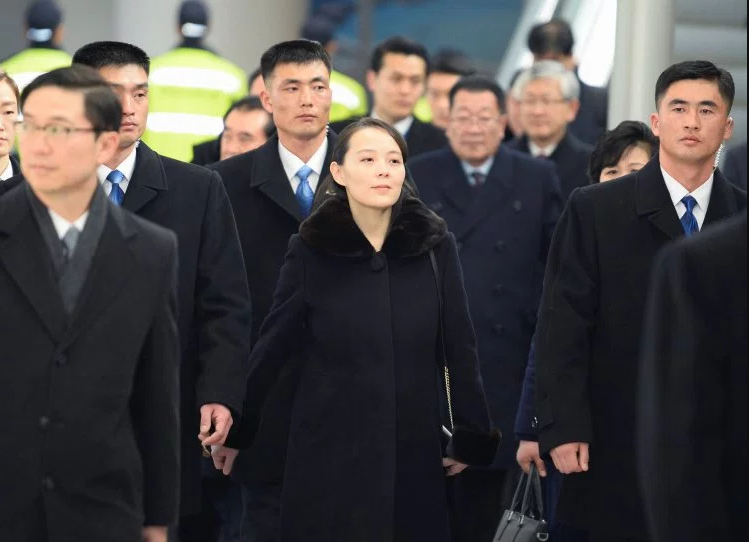 Kim Yo Jong arrived South Korea in her brother’s private jet as part of a high-level delegation attending the opening ceremony of the Pyeongchang Winter Olympics. She will be there for three days with North Korea’s ceremonial head of state, Kim Yong Nam, 90. Kim Jong Nam and Kim Yo Jong are scheduled to meet with South Korean president Moon Jae-in on Saturday in a luncheon at Seoul’s presidential palace. Mr Moon has been trying to use the games as an opportunity to revive meaningful communication with North Korea after a period of diplomatic stalemate. At the Winter Olympics, both North and South Korea will march under one flag at the opening ceremony. Alongside 22 athletes, North Korea has sent more than 400 delegates to the Games, including a team of cheerleaders and an orchestra.